My makeup routine definitely had to change while in the hot and humid Florida weather, so I wanted to give a little rundown for a few key looks I had throughout the trip. Not only did I bring only a few eyeshadows, but most of my makeup was travel-sized and nothing was put on too heavy as far as the rest of the face goes. With all of the sweating and sightseeing, I wanted my skin to breathe and foundation comes off your face quickly anyhow! 1. Stay hydrated! Keep water on you at all times for drinking, and also for misting your face and body when you get too hot. 2. Wear sunscreen even if it is cloudy. At the beach I wore Panama Jack spf 45 and I also wore a fantasticly huge sun hat. 3. Wear comfy shoes. Flip flops with no padding will kill your feet after an amusement park all day. 4. Put all valuable items in a ziplock bag. You don't want these to get wet or sandy at the beach or park. 6. If you wear contacts, bring a lens case and travel solution to the beach. Saltwater stings a lot so be careful! 7. Bring chapstick with sunscreen. It's easy to forget, but painful if you forget it. My first look was from a beach day. I didn't want to use tape since it is definitely NOT waterproof! The trick is to stay clean and simple. Eyeshadow will come off in the water and mascaras will smudge so your best bet is to use waterproof liquid liner and call it a day. 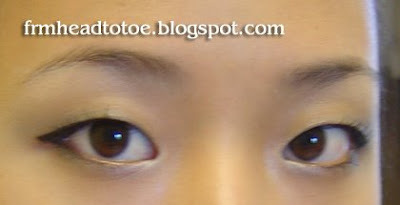 Here, I used a bit of blue shadow & highlight and my MAC fluidline in blacktrack. This is a hair and clothes look. 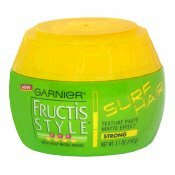 I bought Garnier Fructis Surf Hair Texture Paste and scrunched my hair with it while dry. I was really pleased with how it turned out. I got matte volume and it wasn't too overdone for how hot the weather was. My outfit was maybe a bit too over-matchy but I did not care! I was feeling really fresh and fun. One thing I did was layer a sports bra with built-in cups under my dress. It was more comfortable and gave a little more coverage than with the low-cut dress itself. The bra is from Korea, dress is from Forever 21, necklace is vintage, and shoes I bought in FL at Beall's outlet in the kids' department. Finally, this was the makeup look I had for Disney World's Magic Kingdom. I knew it would be a long, hot day with plenty of pics so I made sure to use Urban Decay Primer Potion. I matched my shadows to my shirt and did a pinky purple look. The pink was from the Revlon Colorstay palette (berry bloom) and the purple was from an LA Colors palette (mesmerize). On trips, palettes are definitely a must-have. Bring at least one with bright colors and one with neutrals and it should be enough variety for many outfits. Just make sure you wrap them well in bubble wrap for the trip and try using Glad Press n' Seal wrap over the shadows in case they break.